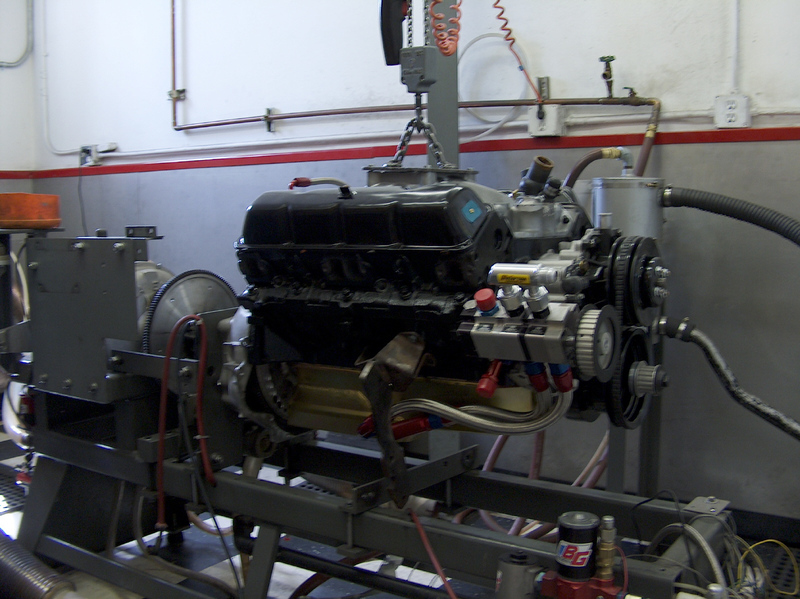 We specialize in Amereican Motors products, parts, machine shop services and complete engines. Engines can be DTS dyno tested and ready to drop in, with all tuning done. We can take your specifiations and come up with just about any AMC engine setup you might want. Our billet cranks are state of the art, made to our specs, and very affordable, at $2,300, including friction reducing coated Clevitte "77" bearings. We offer custom "H" beam rods to go with these cranks, along with J&E pistons. See our stocked items page for parts that can be immediately delivered. Custom items are non stocked items that are special ordered, and require 50%down. Cranks require ~12 weeks delivery. The short guy in the picture is Matt Lagessie, one of the best builders and racers in the mid-west. (Chicago area.) The picture was taken at the 2006 Jegs Engine Masters Challenge. The engine in the picture is the 424 AMC we ran in the road race Matador, as we could not get the real contest engine done in time. This was a dry sump motor we had 2 days to convert over to a wet sump and get to Long Island in time to meet the contest deadlind. More on this on another page. Here is Matt's link. You will find him very much in the know. http://www.maddmattsauto,com. While on Matt's site, you can find pictures of the road race Matador we ran over the last few years. On his site, click on Racing Highlights, then choose "Matador Challenge 2003" from the menu.